Stewart Lee’s new book How I Escaped My Certain Fate has just come out to rave reviews. But where can you find Stewart writing about the Fall? Over the years, the group has mixed rockabilly rhythms, pounding riffs, experimental collages, misappropriated electronica, a subversive pop sensibility, and a dark and often deceptive sense of the absurd. Frontman Mark E Smith’s immediately recognisable antivocals, stream of consciousness lyrics and left-field literary references create a body of work unequalled in scope and sheer size by any other rock outfit. Smith, The Fall’s single longterm constant, is publicly disdainful of the cult of short-term nostalgia. Fall sets rarely include any songs older than the last couple of albums, unless they are seasoned covers of 1960s garage punk classics and old rockabilly riffs ripe for reinterpretation. Smith refuses to become a keeper of sacred relics, the living interpreter of his own back catalogue. The very notion of a Primer on The Fall would no doubt irritate Smith a little, as if someone were preparing his obituary, and the nature of the group’s output and the passion of its followers makes it impossible to agree on generally accepted highlights. The most recent Fall record is always the most important one. 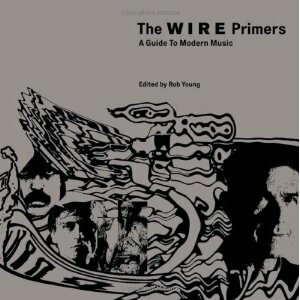 Stewart Lee’s primer on the Fall can be found in The Wire Primers: A Guide to Modern Music, edited by Rob Young of the Wire Magazine and author of Electric Eden.